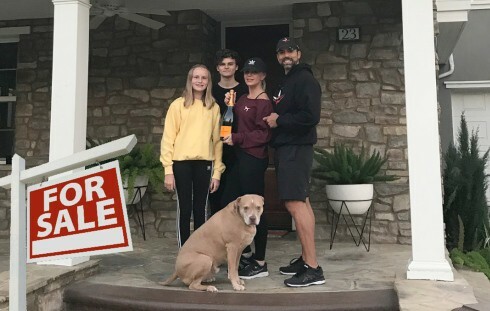 In her recent sit-down with Watch What Happens Live‘s Andy Cohen, The Real Housewives of Orange County OG Vicki Gunvalson expressed a bit of divorce remorse in the wake of the Brooks Ayers fake cancer scandal. She flatly states that if she could do it again she would not have divorced her ex-husband Donn Gunvalson, and even goes so far as to say she would get back together with him if he were willing! 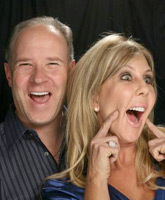 Does Vicki Regret Divorcing Donn? ANDY: This is your second relationship on the show that has gone south. Do you think you pick men who aren’t good for you? VICKI: I think Donn was an amazing man, so I’m not going to say that he wasn’t good for me. I think if I had it to do all over again, I would not have divorced Donn. VICKI: Mm hmm. I know that for a fact. We both went sideways for multiple reasons, but I, um, hindsight, if we could do things differently, he was a great man — great husband. ANDY: Do you — are you — what was the last contact you had with Donn? VICKI: It’s been a while. We’re actually spending next week together in Naples, Florida for a week as a family. 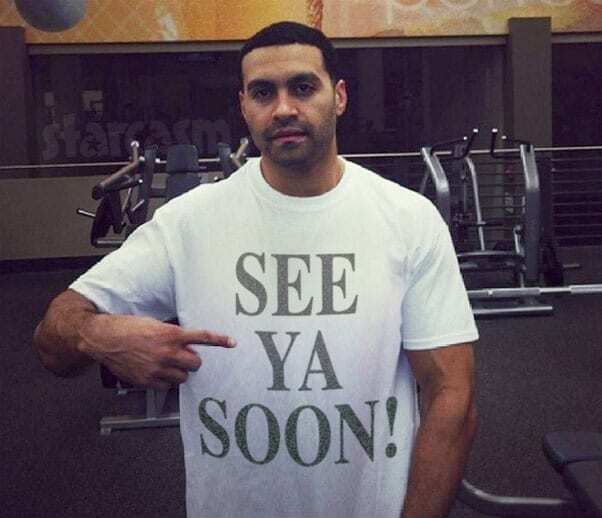 VICKI: We’re going to spend Thanksgiving dinner together, and it’ll be good to see him. It’s been about a year. ANDY: That same psychic of Tamra’s said that you were going to get back together with Donn. VICKI: Mm hmm. [inaudible] right? ANDY: Is that a possibility? 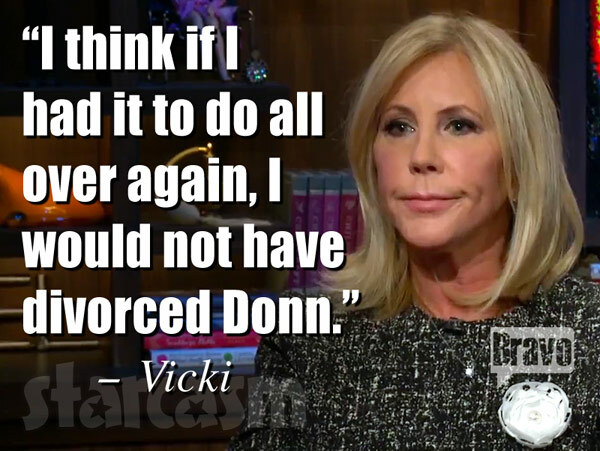 VICKI: For me, on my end, I would because I want my family back, but I don’t think for Donn. I think he’s really hurt. 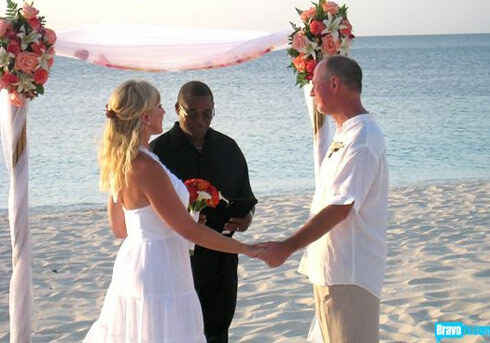 In case you missed it, Vicki filed for divorce from Donn back in the fall of 2010 after renewing their vows on screen for the Bravo cameras. The divorce process was a lengthy one, but it was eventually finalized in January of 2014. ANDY: What is Donn’s reaction to this whole Brooks mishegas bit? VICKI: He talks to Brianna about it. He’s really hurt. He said, “You know, your mother got duped.” You know, he cares about me. He feels bad that all this happened. ANDY: He’s not communicated with you about it? VICKI: No. I’ve sent him emails, I’ve sent him phone calls and text messages, and gave him my whole “I’m sorry sp—” I feel like all I do is say I’m sorry this year, it’s like, holy crap! But you know what? I didn’t murder anybody. I didn’t do anything malicious. I loved a man that I believed, and I don’t know any women on this show that wouldn’t defend her— Look at Shannon! She defended her husband! He cheated on her, he lied to her for nine months. She defended him! Am I going after David and saying, “Are you really not cheating on her any more? And are you still in love with her?” No, because she loves him, and they’re making their marriage work. That’s the same kind of scenario. I loved Brooks. I wanted the women to love him, and I supported him. So what do you think? Will we be seeing a Vicki Gunvalson and Donn Gunvalson reunion next season? Perhaps a vow renewal renewal ceremony?